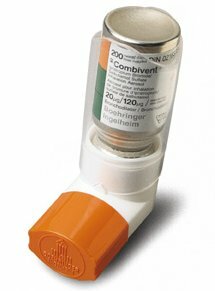 This is an inhalation asthma treatment method that involves using a Combivent inhaler. It has generic names of albuterol and ipratropium. They are both brochodilators, which help to relax airway muscles and allow for an increase flow of air to the lungs. These two items are combined for treatment of chronic obstructive pulmonary disease. It helps with the prevention of bronchospam who are also using other medicine to help with controlling the condition. Both albuterol and ipratropium may have other uses that are not specifically related to this treatment. 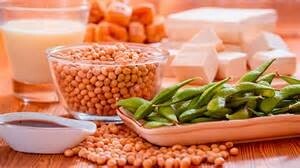 People with allergies to soybeans, peanuts and other thing else that would contain soya lecithin are not advised to use either albuterol or ipratropium inhalers. And if one feels this form of medicine is not working or is actually making the condition worse then it is time to call the doctor. Or if there is a reason one needs to increase the amount used that too needs to be discussed with doctor. Those are all issues that should be sure the person doesn’t wait on contacting the doctor if there are any problems. In addition to being aware of any problems a person will need to understand how to properly handle, use and care of the inhalers. This will include being careful in handling the inhalers, they can possibly burst when exposed to heat. So that includes avoiding tossing empty containers into an open flame. Should a person have heart disease, high blood pressure, congestive heart failure, a seizure disorder, diabetes, overactive thyroid, glaucoma, enlarged prostrate, liver or kidney disease then one should inform doctor. That will be something he or she will need to know in order to adjust medication to allow for those problems. Combivent is considered a medication that might be harmful to an unborn baby. An expectant mother or one who is thinks she will become pregnant will need to informed doctor in under treatment with this medication. It is unknown if the medication will be past on in breast milk. And if the mother to be or one that has given birth has any questions she should not hesitate to consult her doctor. When this medication is prescribed the person should be sure to follow the instructions on usage accordingly. This means to make no change unless the doctor has given his or her permission. If for any reason it does not seem that the medication is working then the doctor should be consulted within a period of twenty-four hours. Then to during the usage of the medication the lung function will need to be tested. Plus the person should be sure not to miss any visits to the doctor. In addition one should continue to take all other medications that were prescribed. Also the medication needs to kept at room temperature and not exposed to either extreme heat or moisture. With albuterol and ipratropium there are certain possible side affects. These can include things like chest pains, wheezing, pain or burning in urination, increase blood pressure and swelling in ankles or feet. In addition one might also experience headaches, drowsiness, coughing, tremors, nausea and blurred visions. Should any of these happen one should contact his or her physician. One’s health care provider can also provide a complete list of symptoms beyond the one’s listed. And any questions on might have regarding symptoms or usage of the medication will be ones that he or she can answer. Plus the health care provider can also be able to help with any additional resources that might be needed in terms of using or understanding the medication. With the information and all the facts a person will be able to totally grasp all the things needed to know how this medication truly helps.